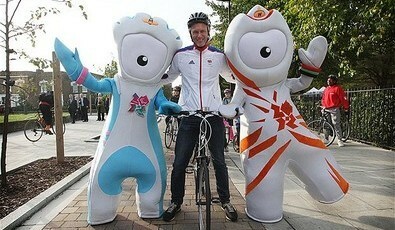 Promoting active travel is one of the key legacies of 2012 London Olympics. The walking and cycling routes has achieved good results and encourages behaviour change for the Olympics and beyond. One of London’s goals for the 2012 Olympic Games is to achieve 100% spectator travel by public transport, walking and cycling. The aim of the 2012 Games Walking and Cycling Routes programme is to encourage spectators to actively get to the Olympic venues along designated routes promoting fitness, health and CO2-free travel. In planning the routes, ensuring that there would be a long-term benefit for the local community was paramount. The walking and cycling routes form part of the wider 2012 travel demand management programme, which aims to achieve an additional million journeys a day by foot and bike in London during the Games – a 16% increase. Sustrans, the sustainable transport charity (http://www.sustrans.org.uk/) undertook an audit of the eight routes. The aim was, where possible, to use direct, easily accessible off-highway or alternatively low traffic routes to encourage new and less confident cyclists. Sustrans and TfL aimed to transform the quality of provision for people choosing active travel. All eight routes were designed, consulted on and put into effect in less than two years. Over 100 schemes were selected to help improve the routes from a walking and cycling perspective.>These schemes included signing, provision of new paths and cycle lanes, installation of signalised crossings, new bridges for cyclists and pedestrians, road resurfacing and general engineering improvements at junctions and other areas along the routes. Significant public realm improvements were also proposed, particularly along the Hackney Parks route. As the end of the programme of works approached, Sustrans undertook a second audit of the routes to ensure all of the agreed improvements were fit for purpose and to also highlight any minor works which could add some finishing touches to the routes, prior to their launch. The routes were originally scoped in 2006 and delivery largely completed in October 2011. The total estimated value of the work from feasibility study to implementation was approximately £10,000,000. Many of the schemes have significantly improved the safety of cyclists and pedestrians while simultaneously transforming the urban realm. Notable examples can be found in Hackney and on towpaths managed by British Waterways. Use is being monitored. Monitoring shows a general increase in numbers of both cyclists and walkers on the Olympic greenways. On the Limehouse Cut route, the towpath near Bow Common Bridge, one of the earlier routes opened, the numbers of cyclists and walkers are up by an average of 14% and 48% respectively (comparing September 2009 with August 2010).